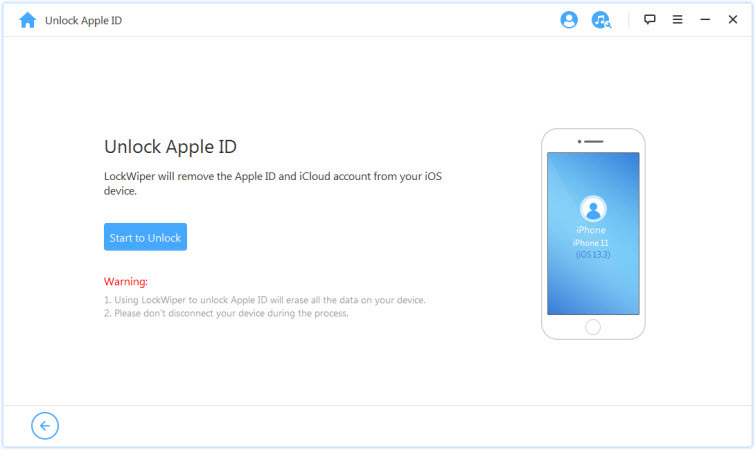 The iCloud DNS Server Bypass is a method of unlocking an iCloud locked iOS device by redirecting the path of the activation request from Apple servers to a DNS server. Hence, if you’re looking for a way to unlock and access an Activation locked iOS device, then use iCloud DNS server method. Therefore, this article would give us the right steps for iCloud DNS Server bypass, and introduce us to a method that bypasses iCloud account without DNS server. Step 1. When you set up your device, select your country and language. Step 4. Tap “Back” at the top left corner. Step 5. Tap “Activation Help”. Step 6. Once the activation is bypassed, you’ll receive a message that tells you “You have successfully connected to my Server." Now you can access and enjoy most functions on your device. The iCloud DNS Server Bypass doesn’t give you any assurance that your device will be unlocked. You’ll access fewer features of iOS than someone whose iPhone activated. It’s proved to be effective for iCloud activation lock bypass from iOS 8 to iOS 10. If you have a device running on other iOS versions, you can also give it a try. Using iCloud bypass DNS server to unlock iPhone doesn’t allow you to enjoy all the features but just some limited functions. If you want to enjoy all the features, you can consider another solution - using iMyFone LockWiper. It performs well to unlock iCloud from iPhone regardless of whether Find My iPhone is on or off. You just need to connect your iPhone to computer and run LockWiper in a few clicks. When it’s done, your iPhone won’t be connected to the previous iCloud, let alone being tracked or blocked. You can now enter a different iCloud account and enjoy all the features. iMyFone LockWiper’s free trial allows you to check whether your device is supported or not. If you can see “Start to Unlock”, that means you can use it to unlock your device. Step 1. Download and install iMyFone LockWiper on your computer. 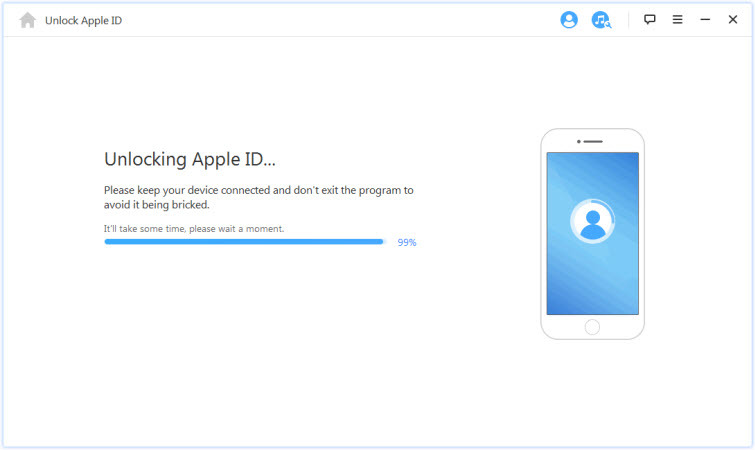 Launch the program and select “Unlock Apple ID” mode from the home interface. Step 2. Connect your device to computer and trust the connection. Click “Start to Unlock”. LockWiper will immediately unlock your device, which will take a few seconds. Please note that, if Find My iPhone is enabled, you’ll need to reset all settings on your device first. LockWiper starts unlocking when your device restarts. iCloud DNS Server is a good way to bypass iCloud activation lock, but it doesn’t allow you to enjoy all the iOS features. 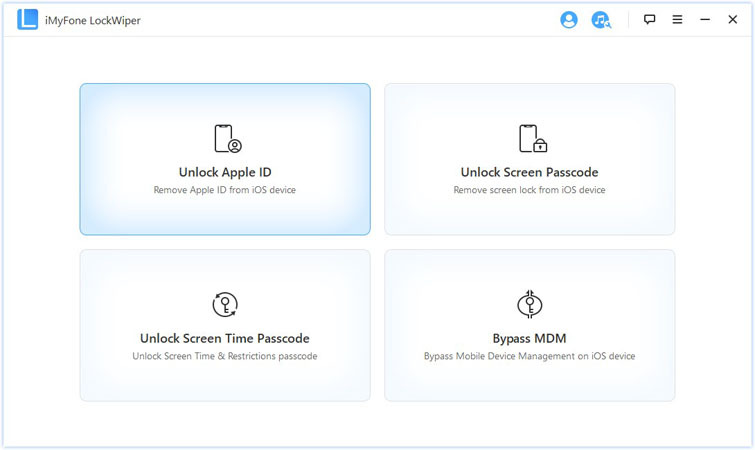 If you want to enjoy a unrestricted iPhone, then use iMyFone LockWiper. The benefits of using LockWiper are numerous. You can enter a different iCloud account to enjoy all the features of iPhone or Apple services.